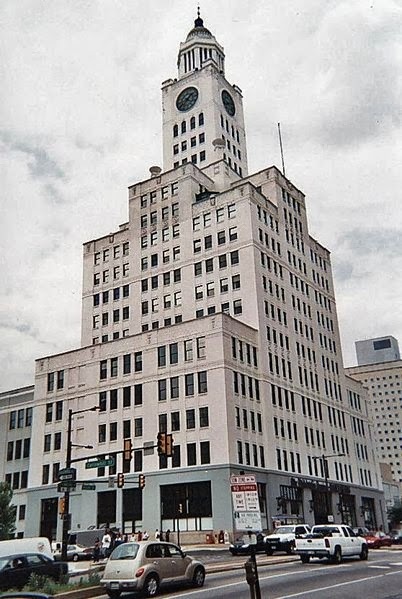 The new owners of The Philadelphia Inquirer have made a public pledge not to interfere in the editorial operations of the newspaper. Last week, however, owners, editors, and publishers of the Inquirer were placed under oath in Courtroom 630 at City Hall, and asked to explain what that pledge really meant. To editor Bill Marimow, it meant that although Publisher Bob Hall had basically accused him of being a racist and a sexist, there was no need to worry, because under the new regime, the two principal owners had to be in agreement to fire him. To Nancy Phillips, the Inquirer city editor and girlfriend of owner Lewis Katz, the pledge was carefully constructed so that it didn't apply to important decisions -- like hiring the editor of the Inquirer-- because that was a business decision rather than an editorial decision. To owner Lew Katz, that non-interference pledge didn't put a wall up around the newsroom; instead the pledge amounted to an open door. Katz explained on the witness stand that he had the right to show up in the newsroom whenever he wanted to. And when it came to hiring and firing any editor in the newsroom, Katz had a "blocking right." Welcome to Courtroom 630, where the Inky's much-publicized non-interference pledge was revealed to be a license to meddle. And where we learned that two award-winning journalists conspired to spin a story to conceal that meddling. Philadelphia Common Pleas Court Judge Patricia McInerney today granted an injunction to immediately reinstate Bill Marimow as editor of the Inquirer. Shortly before 5 p.m., Marimow returned to the newsroom on Market Street where he was fired Oct. 7 by Publisher Bob Hall. The editor was greeted by a standing ovation from staffers. He made no speeches, but walked around shaking hands and accepting congratulations. Condolences may have been more appropriate. Marimow is returning to a hostile work environment at what may be the most dysfunctional newspaper in America. Just last week, the judge granted a separate injunction to reinstate Publisher Hall, so now he and Marimow can resume their daily wrestling over who's in control of the Inky newsroom. Both Hall and Marimow are lame ducks. Hall was reinstated by the judge until Dec. 31; Marimow's contract expires April 30th. So welcome back, Bill. The publisher who fired you last month is still here. He'll be watching your every move. So will George Norcross, who heads up the majority slate of owners, and who's already said that hiring you was the biggest mistake he ever made. 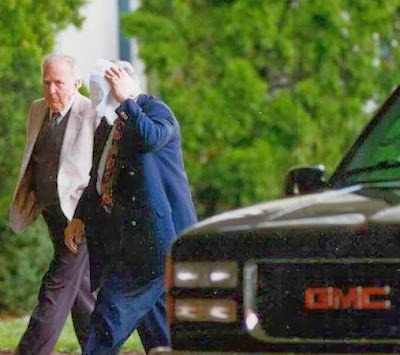 When Louis "Bent Finger Lou" Monacello took the witness stand this afternoon in the racketeering conspiracy retrial of mob boss Joseph "Uncle Joe" Ligambi and his nephew, George Borgesi, the tone of the three-week-old trial shifted. This was no longer an expert gambling witness or a beleaguered bar owner with a poker machine or an FBI agent interpreting secretly recorded conversations. This was Borgesi's one-time friend and, if the government is to believed, his chief partner in crime. Monacello and Borgesi go back 30 years. They know a lot about one another. And much of it will get laid out for the jury. As he did at the first trial, Monacello, 47, began to paint a verbal portrait of his underworld involvement with both defendants. It was Mob History 101, a primer on the wantonly violent and consistently treacherous Philadelphia branch of Cosa Nostra. Jurors in the racketeering conspiracy trial of mob boss Joseph "Uncle Joe" Ligambi got nearly four hours of the murderous and mundane today as the trial entered its third week. With mob expert and former FBI agent Joaquin "Big Jack" Garcia on the stand and Ligambi's lawyer, Edwin Jacobs Jr., conducting a lengthy and detailed cross-examination, the anonymously chosen jury took a trip down a bloody memory lane. 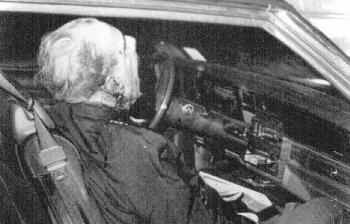 -- Mob boss Angelo Bruno was shotgunned to death in March 1980, a hit that destabilized the once smoothly run organization. 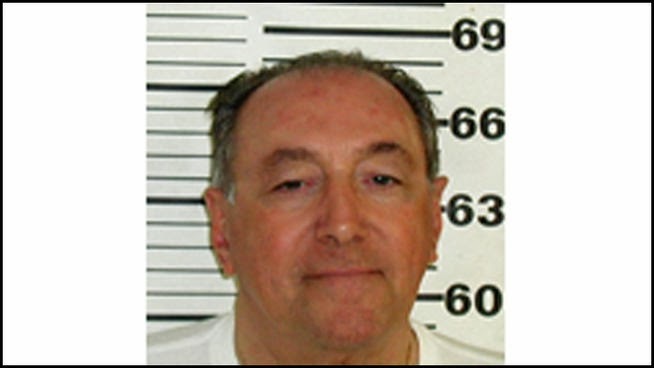 Bruno's consigliere, Antonio "Tony Bananas" Caponigro, was behind the murder of the so-called Docile Don and thought he had the approval of the New York-based Mafia Commission. He didn't. On that, Garcia and Jacobs agreed. After more than three hours of fruitless back room negotiations, a clearly frustrated Judge Patricia McInerney emerged from her chambers this afternoon to tell spectators that settlement talks in the war over The Philadelphia Inquirer weren't going anywhere. The judge said she appreciated "everybody's hard work," but unfortunately, nothing was resolved, she said. "Unfortunately, we'll be coming back" for more testimony. At issue was whether the judge would grant an injunction to reinstate fired Inky Editor Bill Marimow. Lawyers for Inky owners Lewis Katz argued today in court that Katz was denied his rights as a member of a management committee overseeing the daily operations of the newspaper when he wasn't consulted on the firing of Marimow. Katz's lawyers also contended that if Marimow wasn't returned to his editor's chair, the Inquirer would be irreparably harmed. Defense lawyers for George Norcross, another Inky owner, rested their case today without calling any witnesses. Norcross's lawyers concluded the Katz team hadn't met their burden of proof. The Norcross team has argued that Publisher Bob Hall, clearly on the Norcross side in the ownership war, had the right to can Marimow. They also pointed out that the Inquirer kept on publishing during Marimow's absence, and even won a recent international award for front page newspaper design. The settlement talks were hard to decipher, as the feuding owners and their dueling teams of lawyers kept shuttling in and out of the courtroom, and in and out of the judge's chambers for private confabs, when they weren't caucusing out in the hallway. Lawyers were seen carrying around copies of a document with the heading, "Agreement," but apparently it wasn't worth the paper it was printed on. 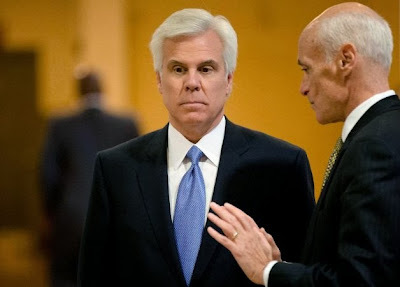 If body language is any guide, Norcross was smiling and looking upbeat all day while Katz looked grim, and at one point, was overheard telling his lawyers, "I don't want to go back there" again, referring to the judge's chambers. If there was a lone holdout, the betting in the peanut gallery was on Katz. They ate and drank and laughed and joked. 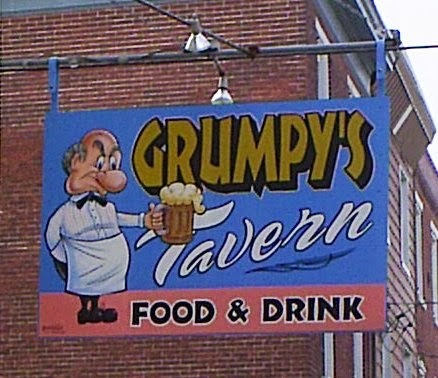 They offered a toast to "all the good guys!" And, the prosecution contends, they discussed mob business. The jury in the racketeering conspiracy trial of mob boss Joseph "Uncle Joe" Ligambi got to listen in today to secretly recorded conversations from a four-hour lunch Ligambi shared with nine other mobsters at a posh New Jersey restaurant in May 2010. The defense has portrayed the session as a "social" gathering. Assistant U.S. Attorney Frank Labor, the lead prosecutor in the case, calls it a "meeting of the board of directors of organized crime." The conspiracy charge that Ligambi, 74, is fighting, could hinge on which version the anonymously chosen jury decides is accurate. At the mob trial on a slow Friday afternoon, only a dozen spectators showed up to watch a dull rerun. Most were students who stopped by briefly and left. The afternoon's witnesses included two subdued bar owners who testified about illegal gambling in South Philly, and a state trooper who raided 22 South Philly businesses and confiscated a bunch of Dodge City video poker machines. At the defense table, a dapper "Uncle Joe" Ligambi, alleged boss of the Philadelphia mob, passed a note to his nephew, George Borgesi, and Borgesi's lawyer, Christopher Warren. Georgie Boy smirked behind his glasses; Warren laughed. Ligambi, 74, and Borgesi, 50, are on trial for racketeering conspiracy. It's a leftover charge from a broader racketeering case that ended in February when both defendants were acquitted of most of the charges against them. Only a couple of veteran trial watchers bothered to stop by to catch the rerun. One gave the show a bad review. "How can you have a mob trial with no murders, no violence, and no money," said Walter, before returning to his seat. Worse yet, there were no mobsters in the cheap seats, or mobster wives or relatives around to provide some local color. The media had also taken a holiday. 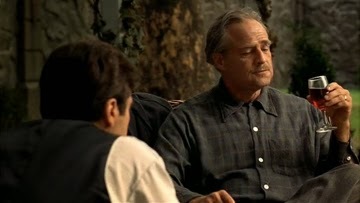 How much worse can it get for the local mob if they put the godfather on trial and it's so boring nobody cares? For The Philadelphia Inquirer, it's all coming apart in Courtroom 630. The combatants don't seem to have any self-awareness about how they're hurting themselves or tarnishing the brand they're fighting over. So far this week, we've been treated to the spectacle of an award-winning investigative reporter and an editor with two Pulitzer Prizes getting together to concoct a phony cover story about which company official supposedly hired that editor. We've seen a pledge taken by the new owners not to meddle in editorial operations revealed as a cheap PR trick. 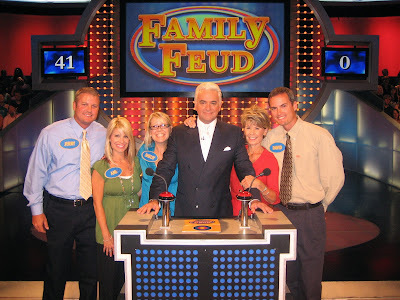 The truth is, the new owners are having a competition to see who can meddle the most in the newsroom. But first, they have to declare that every decision, such as hiring a new editor, is a business decision rather than an editorial decision. Then they can dispense with that worthless non-interference pledge and meddle to their hearts' content. Today in Courtroom 630, we saw a lawyer for a fired editor toss some dirty newsroom linen at a lame duck publisher, the kind of dirty linen that libel lawyers can only dream about. All in the name of victory. What a mess. 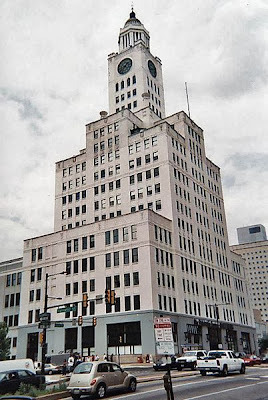 See that building in the picture above, formerly known as the Ivory Tower of Truth? Like a grand dame down on her luck, the Inky has vacated her ancestral home, and now she's holed up in a vacant old department store on Market Street. The value of the city's paper of record has dropped in just six years from $515 million to $55 million. When they get through in Courtroom 630, it might be time for a flea market. Judge Patricia McInerney today denied a motion for a mandatory injunction that would have fired Philadelphia Inquirer Publisher Bob Hall. She took under advisement a request for another mandatory injunction that would have reinstated Inquirer Editor Bill Marimow. The judge's rulings left Hall, the guy who fired Marimow, still in office while Marimow remains in a state of suspended animation. It was a victory for George Norcross, the South Jersey political boss who heads up a majority slate of new Inky owners. And it was a defeat for Lewis Katz, former owner of the New York Nets, who heads up a minority group of owners. A lawsuit filed in Philadelphia Common Pleas Court claimed there had never been a "mutual agreement to further renew" publisher Hall's contract past an expiration date of Aug. 31. The rehiring of Hall had to be approved by a two-member management committee consisting of Norcross and Katz, the Katz lawsuit said. "Lewis Katz did not approve, and under no circumstances would Lewis Katz have approved, the renewal of Hall's contract of employment for any period of time after its expiration on Sept. 1, 2013," the lawsuit said. The timing was critical, as the Katz lawsuit alleged that Hall was working without a contract when he fired Marimow on Oct. 7. Katz's case fell apart in court today after lawyers for Norcross entered into evidence a May 17th email exchange between Katz and Hall that stated Katz had agreed to retain Hall as publisher until Dec. 31. The judge decided there was "no clear right to remove" Hall, said David H. Pittinsky of Ballard Spahr, a lawyer who represented Hall. 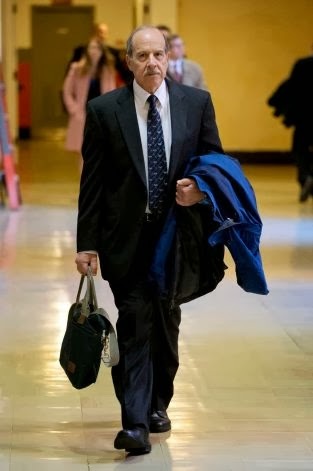 The attempt "to oust [Hall] has now been rejected by the court," Pittinsky said. He declined comment on the status of Marimow. Richard A. Sprague, the lead lawyer for Katz, left the courtroom without speaking to reporters. Katz left early. Marimow declined comment, saying he didn't want to talk until the case was all over. 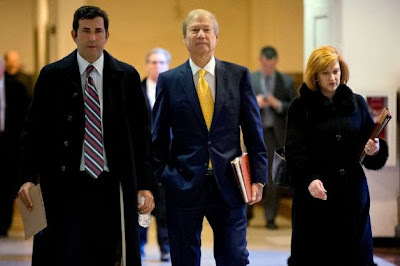 The way Lewis Katz explained it on the witness stand, the men who wanted to buy the Inquirer had a credibility problem. 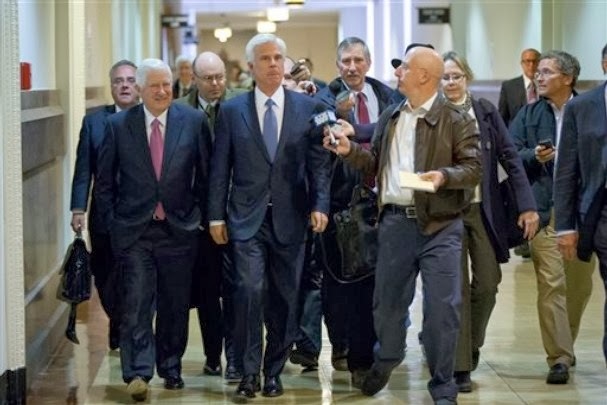 At the time, the proposed new ownership group included former Pennsylvania Gov. Ed Rendell, South Jersey political boss George Norcross, and Katz, himself a former Democratic party chairman from Cherry Hill. The news media was raising lots of questions about the "strong political leanings" of the group, and whether those leanings would dictate editorial policy, Katz said. The reporters at the Inquirer were also uneasy over the prospect of becoming more of a house organ for the Democratic party than they already were. So what to do? Katz divulged the winning formula, which he borrowed from the playbook of former Inky publisher Brian Tierney. First, Katz said, they had to go get "the best editor they could find," somebody whose mere name [or trophy case] would "remove the stigma" that a bunch of political hacks had just bought the Inky. The goal was "to bring in somebody who was beyond repute," Katz said. 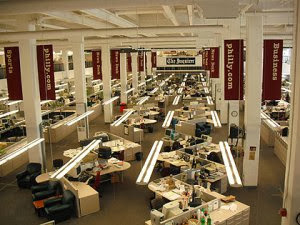 Next, they had to come up with a pledge for all the new owners to take, a solemn oath not to meddle with the sacred editorial operations of the Inky, Daily News and philly.com. The pledge and an editor with a couple of Pulitzers was just the ticket to "calm the storm in the news media," Katz said. 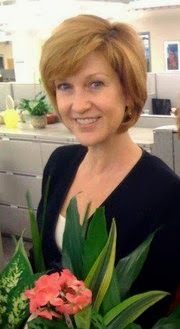 On April 1, 2012, ace reporter Nancy Phillips was writing about what it would take to bring Bill Marimow back as editor of The Philadelphia Inquirer. "His proposed terms," Phillips wrote, are "a salary comparable to what he was being paid when he left: $257,000. He says he is prepared to immediately announce that he was volunteering to cut his pay by 20 percent as a gesture to set the tone for concessions and cutbacks from others in management as well as the unions ..."
Phillips, however, wasn't writing for the news columns of Philadelphia's paper of record. On this assignment, she was reporting directly by email to Lewis Katz and George Norcross, the new owners of the Inquirer, on her negotiations to bring back Marimow. When Phillips got through arranging the rehiring of Marimow, she went to work on bringing back Brian Tierney, the Inky's former publisher, as a sales consultant, and Mark Frisby, a former Tierney lieutenant, as a senior vice president in charge of production. She did all this while she was just a reporter in the Inky newsroom, and a member of the Newspaper Guild, rather than management. Last year, however, all of these folks were playing on the same team. Now, Katz and Norcross are in court fighting each other over the firing of Marimow. Tierney has been fired; Frisby is no longer around. And Phillips's extraordinary role as a head hunter may be recast by Norcross's lawyers as meddling on behalf of her longtime companion, Lewis Katz. 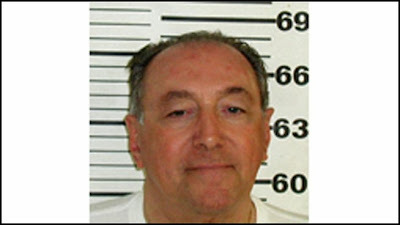 Pete the Crumb Caprio was a no-show this morning at the retrial of mob boss Joseph "Uncle Joe" Ligambi and his nephew George Borgesi. The 84-year-old mobster-turned-informant reportedly tripped, fell and broke his knee while on his way to a safe house after testifying Thursday. Caprio, who was offering the jury a history lesson on the Philadelphia mob, is expected to be recalled as a witness once he recovers. Prosecutors hoped the testimony of the admitted murderer would establish the fact that Ligambi and Borgesi were leaders of the Philadelphia crime family, a key element in the racketeering conspiracy charge they are facing. Caprio was a longtime member of the organization and a member of a crew based in Newark. He was a soldier and later a capo. 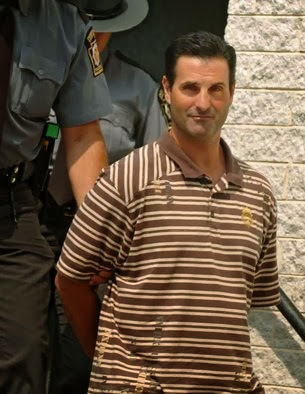 In testimony at previous trials, he has admitted that he plotted to kill Ligambi, Borgesi and another Philadelphia mob leader in the late 1990s with the idea of taking over the family. Before that could happen, Caprio was indicted on unrelated murder and racketeering charges. He then cut a deal with the government to cooperate. Changing gears with Caprio on the shelf, the prosecution today began setting the stage for the jury to hear from another North Jersey mob figure although he won't be on the witness stand. Just as they did in the first trial that ended in February, prosecutors plan to play a tape made by Nicholas "Nicky Skins" Stefanelli, the Gambino crime family soldier who wore a wire for the FBI for two years. Stefanelli, 69, committed suicide in March 2012, but tapes that he made for the feds live on. He was described by the defense as an 84-year-old Mafia hitman with a faulty memory, a mobster who had murdered so often "he couldn't remember how many people he had killed." 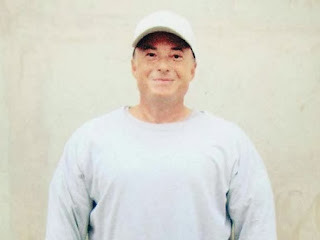 But when he took the stand this afternoon in the racketeering conspiracy trial of crime boss Joe Ligambi and wiseguy George Borgesi, Peter "Pete the Crumb" Caprio rattled off the how, when and why of a series of hits that are part of his organized crime resume. Thin, balding and hard of hearing, Caprio was the leadoff witness for the prosecution in the retrial of the two Philadelphia mob leaders. Dressed in a blue V-neck sweater over a shirt and tie, Caprio spent 90 minutes on the stand at the end of the trial day. He is due back when the trial resumes next Tuesday. "Shoot him again to make sure he's dead," Caprio said matter-of-factly as he recounted the instructions he gave to an associate during the 1975 slaying of a mob associate known as Butchie whose remains were dropped in a shallow grave in the basement of a Newark social club and then covered with cement. It could be a packed house for what basically amounts to a rerun. Friends and family members of mob boss Joseph "Uncle Joe" Ligambi and his nephew, mobster George Borgesi, are expected to fill the small, 15th floor courtroom tomorrow for opening statements in the retrial of the two South Philadelphia wiseguys. Ligambi, 74, and Borgesi, 50, are facing a racketeering conspiracy charge, a leftover from a broader racketeering case that ended in February with both defendants acquitted of most of the charges they faced. Borgesi beat 13 of the 14 counts and Ligambi was acquitted of five of nine. The turnout in U.S. District Court at 6th and Market is expected to be a public showing of support for the two gangsters who have been held without bail since an indictment was handed down in May 2011. It also comes on the heels of a blistering attack by Borgesi's family in the Philadelphia Daily News last week in which they charged that George Borgesi was the victim of a government vendetta. Tierney's Sales Work "Considerably Below Expectations"
Brian Tierney's performance as a sales consultant was "considerably below expectations," according to a confidential management analysis that preceded his firing. 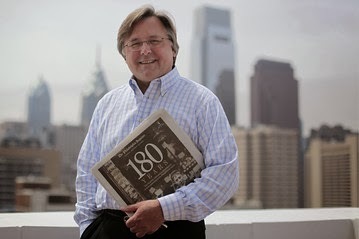 In February, former Inky publisher Tierney began negotiating a deal to launch a national advertising campaign on behalf of Interstate General Media [IGM], owners of The Philadelphia Inquirer, Daily News, and philly.com. He was to be paid a salary of $25,000 a month, or 10 percent of the revenues he generated, whichever was higher. The contract took effect in April, when, according to confidential records, Tierney was paid a partial month's salary of $12,500, and brought in zero revenues. In May, according to the records, Tierney was paid $25,000 in salary and brought in zero revenues. In June, according to the records, he was paid $25,000 in salary and brought in in zero revenues. In July, according to the records, he was paid $25,000, and brought in zero revenues. "After four months of zeroes, somebody should have said, 'What's going on here,' " said Bill Ross, executive director of the Newspaper Guild of Greater Philadelphia. 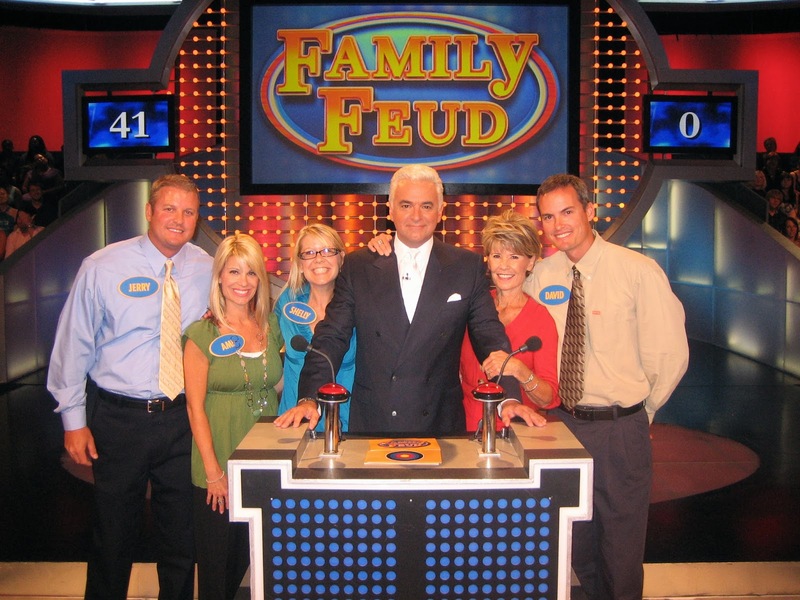 "When Brian was the publisher and he had a sales rep who brought in zero revenues after four months, I'm pretty sure he would have wanted to terminate him," Ross said. "Why he (Tierney) was allowed to get away with such an outrageous deal is offensive and disgusting to me and my membership."